An introduction to our leadership team. With SYM-PAC since 1995, Mark has been an important contributor across the business: Client Services, analysis & design, programming, account management, business process improvement and business development. 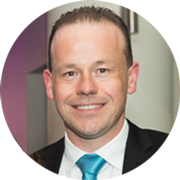 Mark began his career managing a Timber & Hardware store in metropolitan Melbourne, while completing an Arts Degree (majoring in Psychology) and Post Graduate Diploma in Business Information Technology. Mark gained a keen insight and hands-on, shopfloor experience with the full range of retail challenges — customer service, inventory and margin management, as well as general business process flow through to Cash Flow forecasting and Profit & Loss reporting. He implemented a full Quality Management System in the store for full quality accreditation, cementing his understanding of best retail business practices. 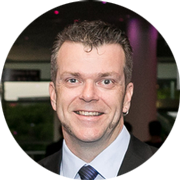 In following years, Mark worked with EDS (a large multi-national US based IT outsourcing firm), and also at Mitre 10 Head Office in the IT department as an Analyst / Programmer. Mark has rolled out SYM-PAC designed solutions to a number of buying groups and many individual retailers and multi-store groups, bringing a depth of experience that benefits all SYM-PAC’s customers. Mark has led many User Group events, showing clients how they can use their SYM-PAC system to their advantage, to grow their businesses to become more efficient & successful. This is what drives us — the success of our customers. During Glenn’s time with SYM-PAC since 1998, he’s grown in experience and been a strong contributor for many aspects of what we do. Starting in Client Services, Glenn quickly moved into a supervisory role and then on to a management role within the team. When the opportunity arose to take on a business solutions and implementation role, Glenn was ready. Glenn has travelled across Australia to implement and inspect systems installed on client sites. Following up for customers with best practice advice, he made sure customer expectations were met with effective implementations. Quality assurance on the solution is always a priority, and in this role Glenn worked closely with the development team to deliver solutions of the highest standard. Under Glenn’s current role as Professional Services Manager he manages new SYM-PAC implementations and the service delivery of the Help Desk team to provide fantastic resolution and response for our customers. As well as building the strengths and skills of the team, Glenn takes point on the management of many of SYM-PAC’s key customer relationships. Glenn is focused on making sure that the customer gets the best end user experience possible, and that the product is the best it can be to satisfy the needs of our customers.